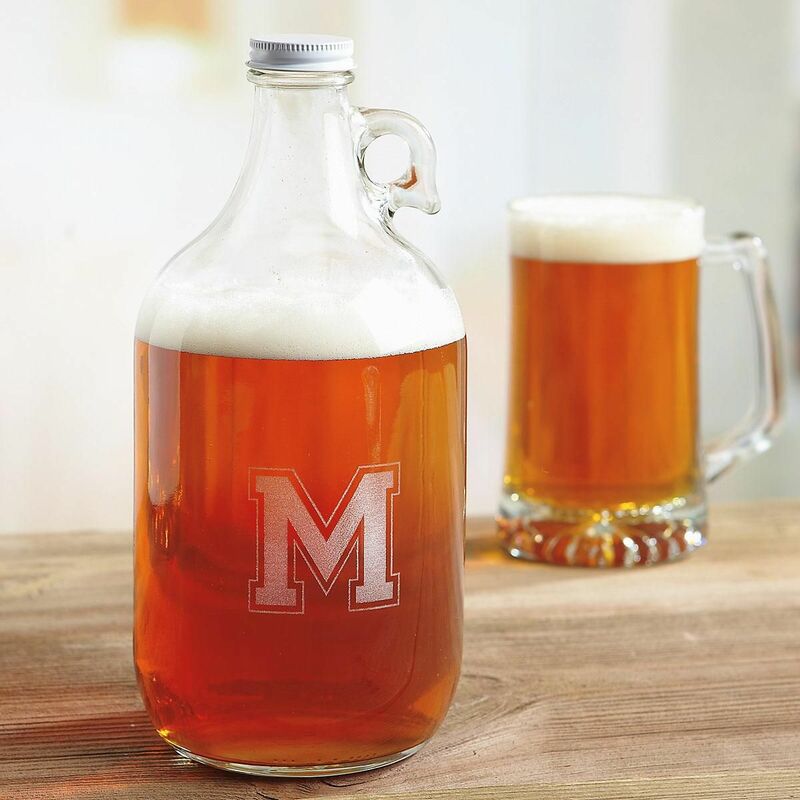 Dating back to the early 19th century, when fresh brews were carried from the pub home in a glass jug, the growler got its name from the sound it made when the bottle top was opened. 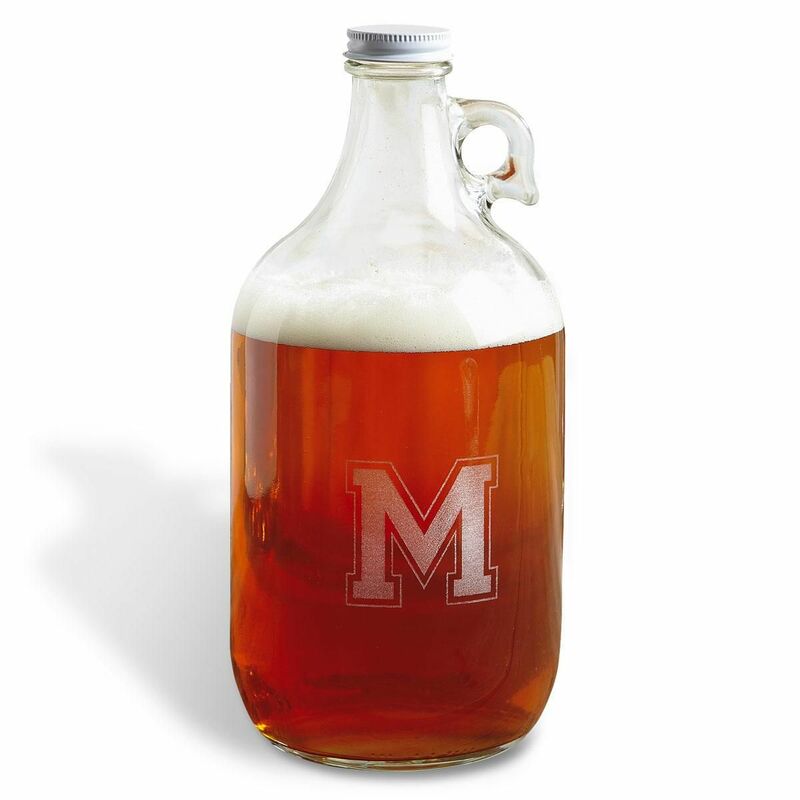 Today the growler has regained popularity as a way to transport and serve home brews. Sure to please your favorite brewer, 64-oz. twist-top glass growler keeps beer fresh for up to a week or more. And, what a conversation starter when used to serve any type of beer! Beautifully etched with the initial you specify, the growler makes a much appreciated guy gift. Specify 1 initial for the Growler.